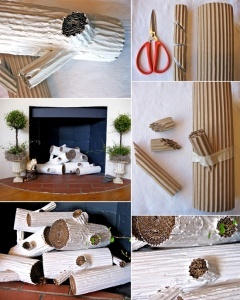 What To Do With Old Cardboard? 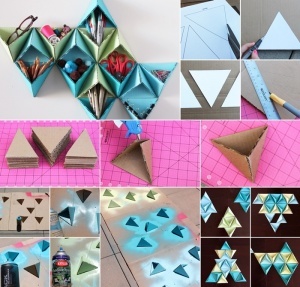 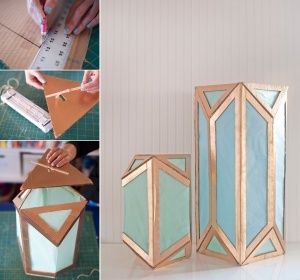 Rachel of Handmade Charlotte via Etsy Blog has shared a beauteous project of geometric metallic lanterns that she has crafted reusing cardboard. 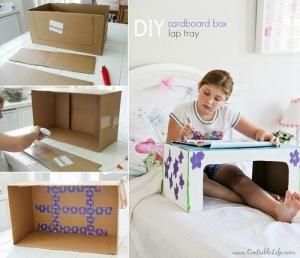 Sharon at Lilikoi Joy has covered an old cardboard box in a beautiful printed fabric in black and white print. 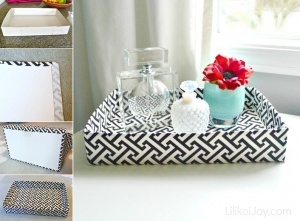 She has used that tray to display a collection. 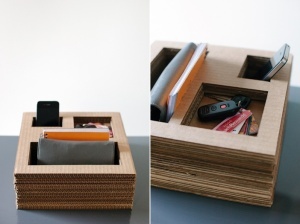 A tray like this is sure to last long as it will stay on its place with the collection of things. 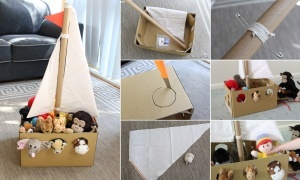 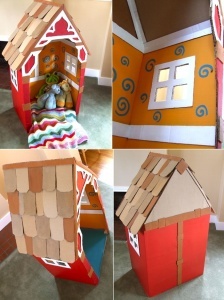 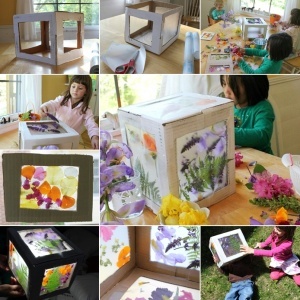 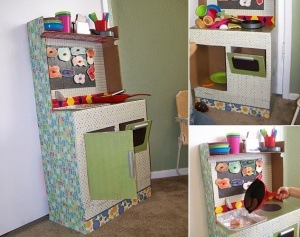 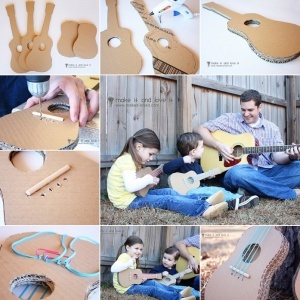 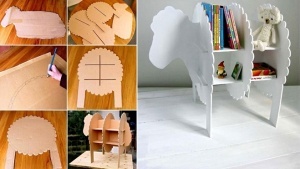 Michele Pacey at Michele Made Me has shared a cute house made with a cardboard box that your kids can play with and have endless hours of fun and joy. 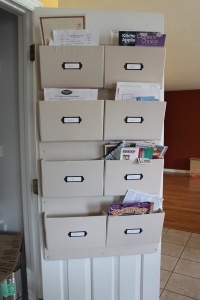 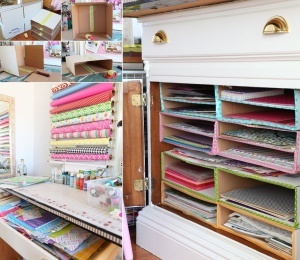 Diane of In My Own Style needed a solution for organizing the supply of scrapbook paper in her cabinet so she created a shelving system by stacking her handmade boxes of cardboard. 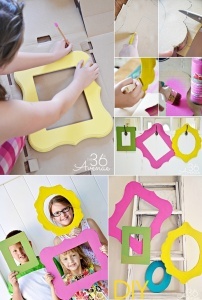 The 36th Avenue blog has shared a way of making funky party frames by cutting and then painting recycled cardboard pieces. 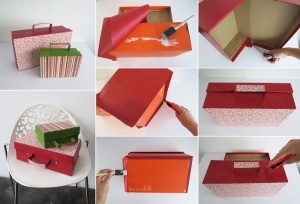 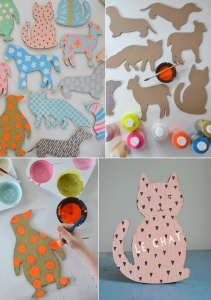 Art Bar Blog has shared a cute way of cutting a cardboard box in the silhouettes of animals and then decorating them with paint and markers. 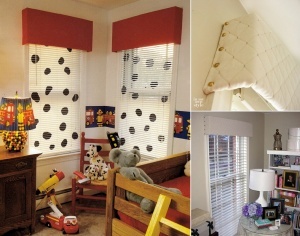 Diane of In My Own Style has shared another idea of making a window valance using cardboard box as a frame for the fabric that is wrapped over it. 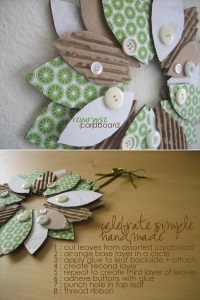 Elise Blaha has shared a tutorial of making a lovely wreath by cutting cardboard in leaf shapes. 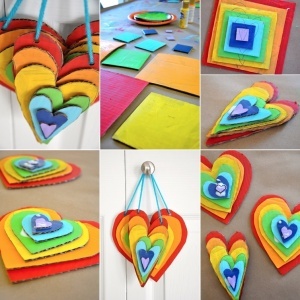 Little Bit Funky blog has shared a wonderful rainbow heart art tutorial that you can enjoy making by involving your kids too.